Jeera Rice or Cumin Rice, is a popular Indian side dish where rice is cooked with aromatic cumin seeds. 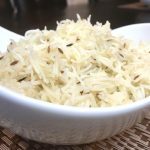 It is traditionally cooked with long grain Basmati Rice, which is a long grained rice known for it’s sweet aroma and a slight nutty flavor. 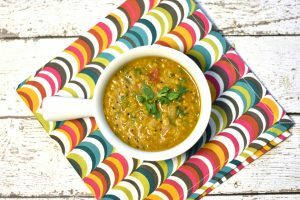 It is the perfect accompaniment to most Indian lentils and curries. 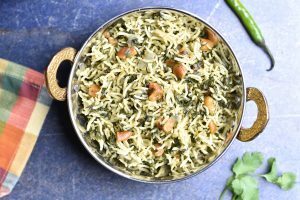 This simple yet versatile rice dish is the base of many great dishes like Jeera Pulao (Cumin Pilaf with sautéed onions) and Vegetable Pulao (Rice Pilaf with chopped vegetables). Lastly, how well you drained it after rinsing it (yup- that’s a factor too). 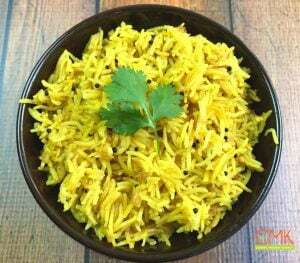 When I make Jeera rice/Cumin rice on the stove-top, I follow this simple recipe. I start by rinsing the rice 2-3 times, or until water runs clear, Then, I soak it for 15 – 30 minutes before cooking. Soaking the rice causes the rice kernels to become soft and fluffy at the end of the cooking process. 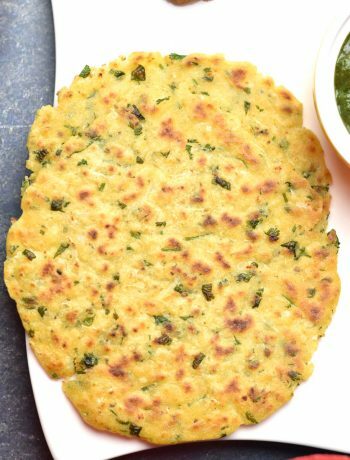 on medium-high heat, add Ghee or butter to it, add cumin seeds and wait for them to sizzle. Now I strain the rice using a fine mesh strainer, add it to the pot, and sauté for 30 seconds. I Add salt, water and let is come to a boil. Then, I turn the heat down to medium and set a timer for 10 minutes. When the timer is done, I turn off the heat and let the rice rest for 5-10 minutes. After that, I open the lid and gently fluff with a fork. pressure cooker to get it ‘just right’ for my family (see my instant pot FAQ to learn more). The magic number for me is 6 minutes for Basmati Rice. I cooked a few batches with a 1:1 ratio of rice to water, but the rice had a bit of a bite to them. 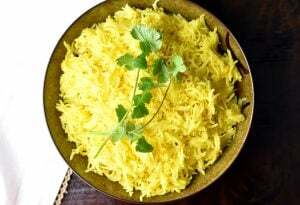 I found that adding an extra two tablespoons of water plus one teaspoon butter, ghee or oil, made them more soft and fluffy, which was perfect for us. 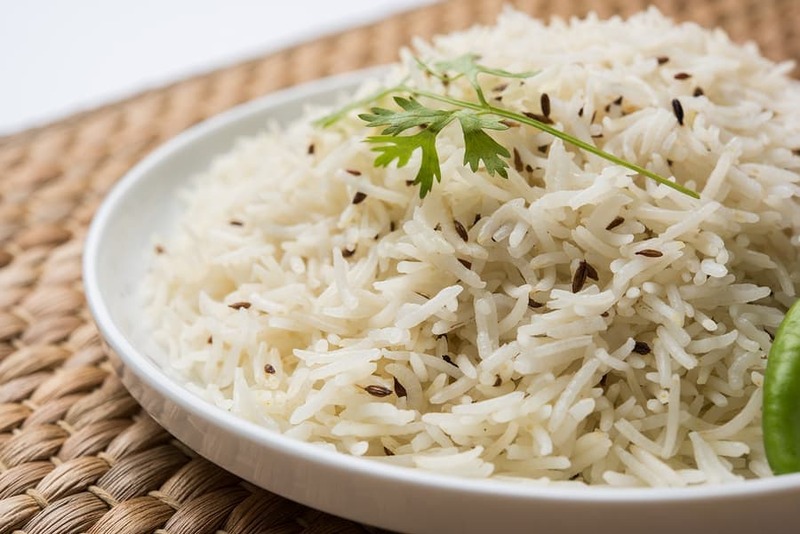 If you like your Basmati rice with a little bite, follow the 1:1 ratio, which means, for every cup of rice, you add a cup of water. If you like them softer, add 1 1/4 cup water for 1 cup of rice. In most customizations, the time remains the same as 6 minutes at high pressure. You can follow this recipe and cook it using the Rice setting too. Add all ingredients to the pot, close the lid, set the vent to sealing position and hit the ‘Rice’ button. That defaults to 12 minutes at low pressure. I have cooked it both ways and have found the result to be the same. So, I love using the ‘Manual/Pressure Cook’ option, since that takes less time. I get asked this question a lot- do you NPR or QR for rice? As a general rule of thumb, I let the pressure release naturally for 10 minutes, after which I manually release the remaining pressure (NPR 10). When I cook long grain rice like Basmati or Jasmine, I find, that resting the rice for 10 minutes makes it fluffier and rice kernels maintain their shape. That being said, there are times, when dinner gets ready in the nick of time, and there is no time to wait for NPR. In which case, I release the pressure manually (QR), and gently fluff the rice with a fork. The texture is a bit more moist than usual, but it still tastes great. 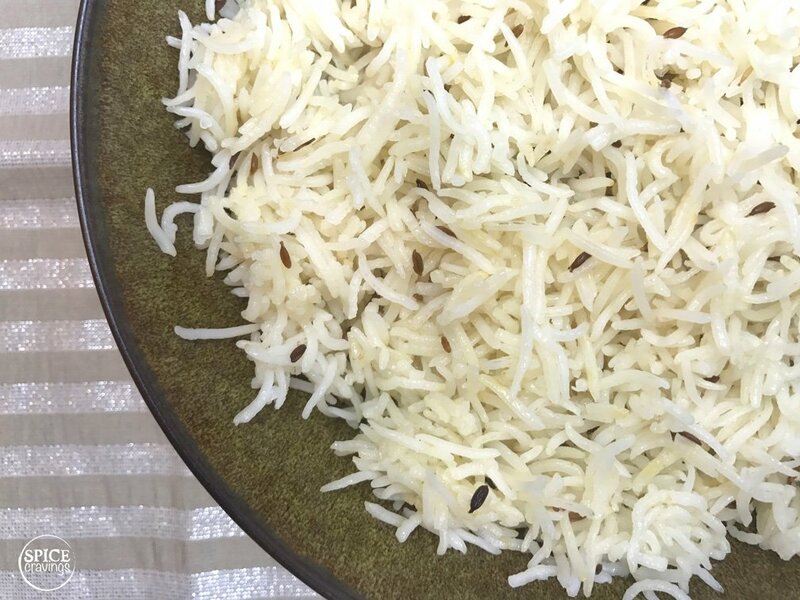 For plain Basmati Rice, follow the recipe and skip the cumin. Simply add all ingredients except cumin in the Instant Pot. Press Manual (high), 6 minutes. Wait 10 minutes before releasing the pressure (NPR 10 minutes). 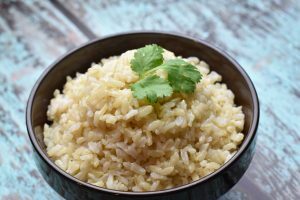 Jeera Rice or Cumin Rice is a popular Indian side dish where delicious and aromatic basmati rice is cooked with the nutty and earthy cumin seeds. 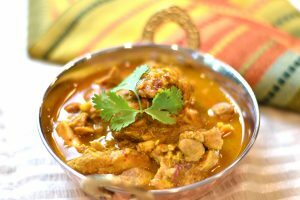 It is one of the most popular accompaniments with Indian curries. Rinse the basmati rice 2-3 times and soak for 20 minutes. Strain the soaked basmati rice in a sieve to get all the water out. Turn on instant pot on Sauté. Wait 30 seconds and add ghee/butter/oil and cumin seeds. When the cumin seeds begin to sizzle (a few seconds), add rice and sauté another 30 seconds. Add salt and water and stir. Close the lid. Set the valve to 'sealing'. Press Manual (high) for 6 minutes, NPR for 10 minutes. Alternatively, you could just dump everything in and turn ON the Instant Pot on the same setting. It will have a milder cumin flavor, but will still be present. Open the lid and gently fluff the rice with a fork. Cumin rice is best served warm with lentils soups, curries or any grilled entrée. Thank you for this! I was trying to find out how to make basmatic rice in my instapot. 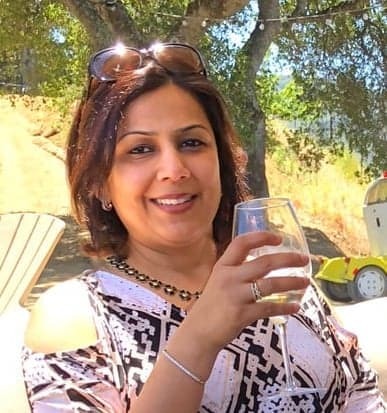 I normally would have done the same method as you stove top except I’ve always used a bay leaf, 3 cloves, 1 star anise, 1-2 cardamom pods sauteed in ghee until fragrant then added rice. I kept my spices the same and use tour instapot method. Worked perfectly! Hi Lori, So glad this method worked for you. Thanks for sharing! 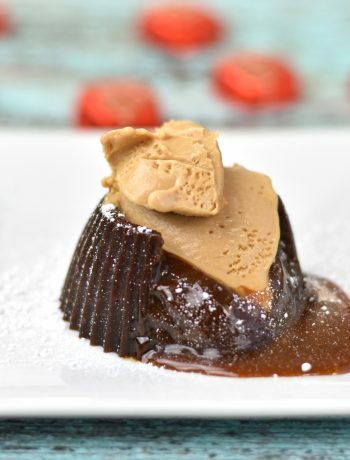 Would love for you to try out some other recipes too!